IF there is something that matters a lot for most residents of Federal Capital Territory (FCT), it is the hot weather. Although it was fore- warned by the Nigerian Meteorological Agency (NiMet) , few expected the situation to assume an unbearable level. 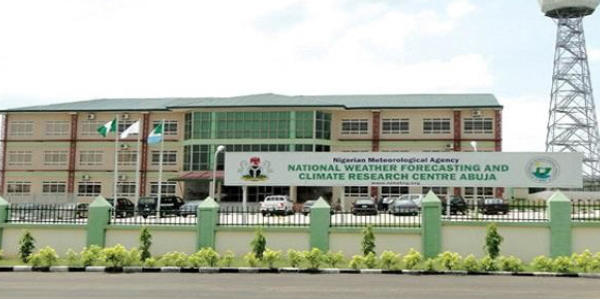 Right now fear has gripped farmers in Abuja the since the Nigerian Meteorological Agency (NiMet) announced its 2018 Seasonal Rain- fall Prediction (SRP) recently. Their fear was heightened when the heat in the city became very intence forcing residents to leave their windows and doors open most nights to be able to sleep well. Another poser was also the early rain that fell twice in February signaling that the weather conditions may not be the same as it used to be within the Nigerian Federal Capital Territory (FCT). The Director General, NiMet, Professor Sani Abubakar Mashi, said the 2018 rainy season forecast indicated a normal-to-earlier than normal onset, normal cessation and normal rainfall which will amount in many parts of the country. Mashi who spoke in the presence of farmers, commissioners of agriculture from the states, Professors from universities and various government agencies disclosed that there will also be dry spell during the rainy season which will be more frequent and severer between 10 and 18 days in some parts of the extreem North including Abuja, while the “little dry season” or (August break) in parts of the South are expected to be pronounced. He stated that these were risk factors for farmers in the affected areas and has to be carefully and scientifically managed. Mashi maintained that it is necessary to state that the expected normal rainfall in parts of the country does not rule out the possibility of isolated flash floods due to high intensity rainfall at the peak of the season, especially in places that are naturally prone to flooding. He explained that it is important to note that in every season, dry spell occurs and in certain cases leads to crop losses but urged farmers and other stakeholders to get in touch with NiMet to access meteorological information and updates within the growing season. He urged each sector to conduct sensitization programs regarding good sanitization and hygenic practices and cleaning of drainages well in advance to avoid flooding. Minister of State for Aviation, Hadi Sirika, said losses to extreme wheather phenomena could be minimised by using early warning in- formation such as NiMet’s seasonal rainfall prediction. He said in 2012, 2016 and 2017, NiMet released the prediction about likelihood of flooding several months earlier but regreted that adequate preparations were not made while the flood inflicted heavy devastation when it came later in the year. The minister informed that this year NiMet’s prediction has indicated that rainfall onset and cessation are also expected to be normal. He explained that this will lead to a normal length of the growing sea- son and normal rainfall amount in most parts of the country. Sirika stated that the expected normal rainfall in most parts of the country does not rule out the possibility of isolated flash floods due top high intensity rainfall at the peak of the season, especially in places that are naturally prone to flooding. He emphasized that availability of accurate and timely meterological data is critical for combating climate change as well as achieving the SDG in Nigeria, stressing that the role of NiMet in these regard is unequirocal. He said his ministry will continue to support NiMet to discharge its responsibility to the nation.